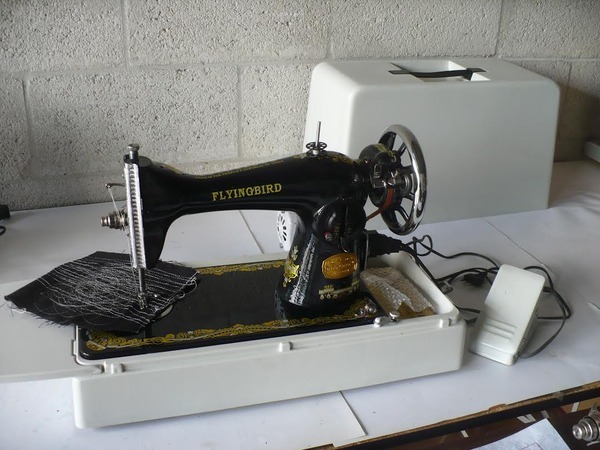 For free motion embroidery or sewing various kinds of light to heavy fabrics. Being operated not only with optional foot pedal, but also with optional hand crank handle. 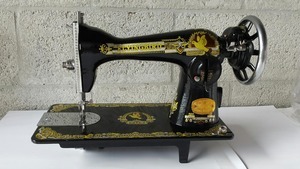 Sewing machine motor and case are available as options. 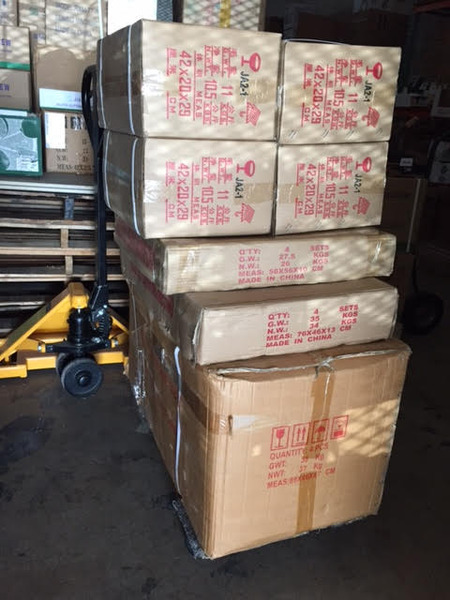 Fits most flat bed 14.5x7" openings in sewing machine tables and cases. All metal parts, designed for lifetime work. 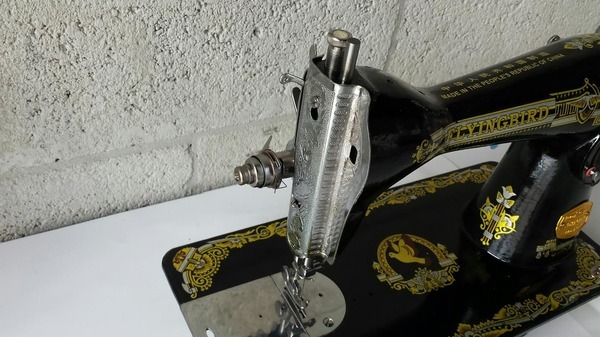 Heavy duty single needle straight stitch machine. See 7.6 minute video on same JA2-1 model from New ButterFly, with optional motor installed. Fabric Pressure on the foot is adjustable with the slotted knob shown just behind the top of the needle bar shaft. Shown on machine head without as much scroll work decals. Flying Bird Treadle Head and Optional Handcrank. Shown on machine head without as much scroll work decals. 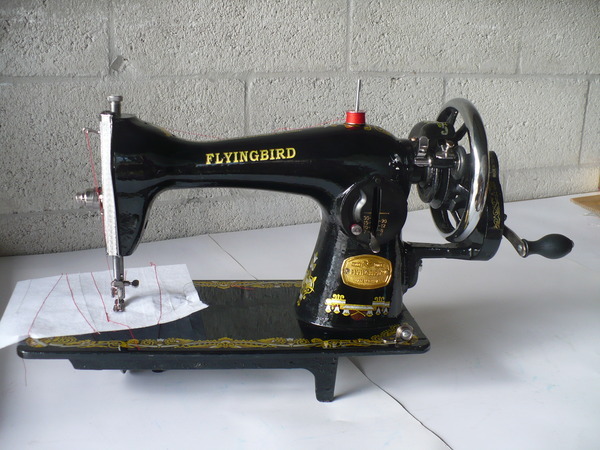 Flying Bird Treadle Head with Optional Treadle Stand and Table Top. Shown on machine head without as much scroll work decals. Flying Bird Treadle Head with Optional Motor Kit and Handcrank. Use one or the other. Both cannot be installed on the machine at the same time. Shown on machine head without as much scroll work decals. 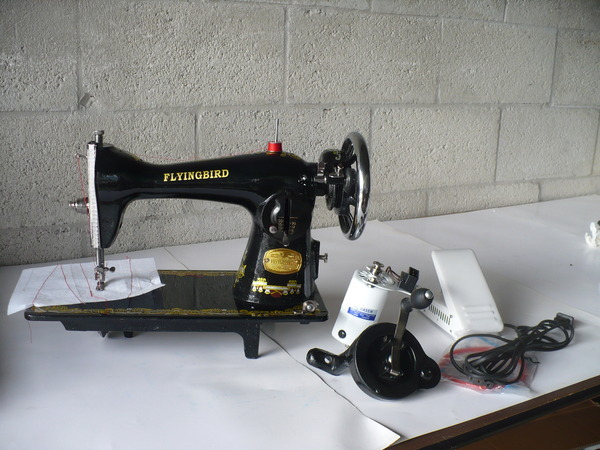 Flying Bird JA2-1 Sewing Machine Head shown with Optional Motor and Optional Heavy Duty Hard Flatbed Case. Shown on machine head without as much scroll work decals.